Number Pieces Basic, by The Math Learning Center | Clarity Innovations, Inc. The Number Pieces Basic app helps students develop a deeper understanding of place value while building tehir computational skills with multi-digit numbers. Students can use the number pieces to represent mulit-digit numbers, count, regroup, add and subtract. Number Pieces Basic is a simplified version of Number Pieces for use with primary grade students. 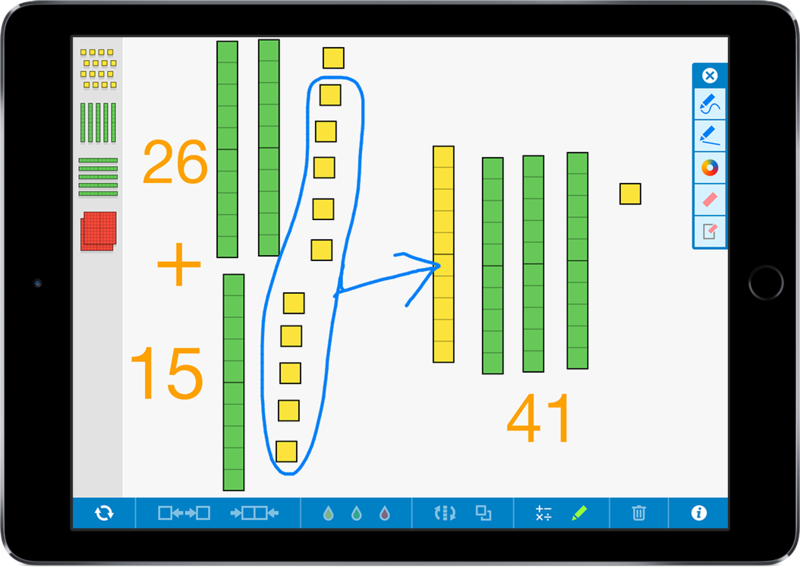 (The more advanced version has additional features for representing multiplication and division concepts). These virtual versions of the manipulative are open-ended educational tools, ideal for elementary classrooms and other learning environments that use iPads. Visit The Math Learning Center for more information about using the Number Pieces: www.mathlearningcenter.org/apps.